Which lubricating oil is in series PP 40x / PP 80 x used for shafts? Alternatively, you can also use a good typewriters oil. The Absolute Pos goes. From always from the left edge. A Relative Position refers. To the last character. How to install a Printer Stand PP 803 ? How to install a Printer Stand PP 806 / PP 809 ? It is recommended to use the PSi original printer driver and use of the application only internal printer fonts. TrueType fonts are fonts graphics printed with graphics speeds. However, if the need TrueType fonts to use, the PP40x) and all models offer the possibility of accelerating the Grafidruckes. In macro menu setting the print quality is there, the menu item for graphic quality. Depending on the print quality, the printing speed is to be increased. However, the font size is retained. Likewise, these settings can be made in the printer driver. How can internal barcodes on a PP 40x / 80x PP print from Windows? Use an internal font in your application. Enter Barcode commands and start / stop commands. These are described in the User Guide Barcode Quick Reference Guide. Use $$ instead of ESC [and select the Printers menu $$ – Emulation. The bar code is not shown on the screen. How can the performance be increased in barcode printing? Printed with the Font Data also bar with PSi sequences, optimizing performance is possible. The parameter P7 should preferably be set to the value “3” in the barcode sequence on the system side. Then the PSi barcode is printed in “NLQ unidirectional”. This is sufficient for most applications. Tests with readers, however, are recommended. By default, the printer uses the parameter P7 is “1” (= LQ unidirectional). For this, the print head must also be brought into the appropriate position. If the surrounding text in DATA / DRAFT printed in the other print head position, here switchover pauses are inevitable. Verlust von Einstellungen im Menü. Der Drucker hat plötzlich wieder Fabrikeinstellungen. CTS -Ltg. suspended because the level does not min. 3V reached. Set a Bridge from PIN 20 to PIN 5 in the cable or connector PM. Which grease can used to lubricate the moving parts of the cutter? How to adjust the tear off position in PP80x printers? The tear bar may in the installation menu in increments of 1 – are laid 360/60 up to 6 inches. Refer to the instruction. How to perform a HEX-Dump in PP 80x printers? The HEXdump provides the ability to stream to analyze. It shows all control characters, which are sent to the printer. To this end, the HEX-DUMP is selected in the menu. Then you send the original file to the printer. All data are printed in HEX code line by line. La qualité des données de police peut être sélectionnée en 2 étapes ou 2 vitesses. In all new Windows printer drivers of PSi a code page ISO 8859-15 is used with the Euro symbol. In older printers, this code page is not available, so the printer in this command will fall back to its default character set. In older printers is only character set ISO 8859-1 available . This should selected and saved in all macros. This ISO set has all characters without the euro symbol (this will then printed as a graphic sign). How to install a Printer Stand PP 405 ? How to install a Printer Stand PP 407 ? How to install a Printer Stand PP 408 ? For LPR Printing from Windows the byte count must be activated . “LPR Byte Counting” forcing Windows to count the number of bytes in the file and sends this value to the data of the received file as a command. If LPR byte count is disabled, Microsoft puts on a size which is much larger than the actual file size. It is neither 0 nor the actual file size. What are the causes of errors in horizontal series PP40x printers? 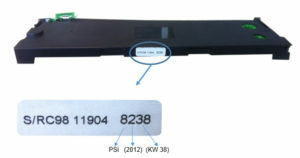 The Print H encoder or encoder strip or the signal transmission via the 4-pin connector on the printhead cables into the DEV is defective. During the initialization of the carriage moves violently against the right side wall and stops there. The horizontal or motors are defective. Replace in pairs in the PP407 /. 8 The engines have about 4 ohms internal resistance and are connected in series in PP407. The rubber buffer (left stopper) in the left side wall is missing or destroyed. The ribbon gear is broken so that the Druckkopfumschalthebel is on the printhead-switchable-position. This position hinders the horizontal movement of the carriage and prevents it from coming to the end position. The tractor transmission is defective, so that the paper source selection lever can not turn. A blockade hinders the horizontal movement of the carriage and prevents it from coming to the end position. How to cut jobs with multiple pages and without pauses between each jobs with PP 408? For this please is the printer documentation observed. At job start “Cut Mode OFF” insert to prevent accidental cutting at FF. At the desired site “cutting at the current position” insert if not to be cut at bottom of page. For cutting at bottom of page “Cut Mode ON” and, if necessary. A FF (0C) insert. Which adapter do I need to operate PP40x New with Serial standard V24 cable? The pressure of the Paper Guide 4 is no longer uniform. Paper Guide 4 Remove the two green thumbscrews and test paper run, or changePaper Guide 4 of another printer. Check then the paper flow is braked. If with removed Paper Guide 4 the paper but not run properly with the new paper guide 4, then FF2 could not be installed properly. The rubber rollers must not rub against the sheet. Possibly the gear is right not deep enough on the shaft. Gear and shaft end must be flush. Game Wave permitted with gear 0.5mm. The Belt Pulley’s are broken into the receiving pins. When the upper pulley is white, then it is an old pulley, which should be replaced by a black. Examination of Pulleys: screw and washer decrease Pulley must not be rotated by hand on the axis. The FF-roller of V-Transports are worn out. Kit Cont. Forms or Kit Dollies is defective. Kit Tractor Exit is defective. test freewheel: sideways driving gear by hand and fix the shaft by hand. Gear must not by ratcheting in the drive direction. Paper Sensor (Paperin / run) no longer works reliably. Line prior to the first 1 – added 3 pages: Check Cause 2 or 3 Cause (FF2). Transport in the cutter slows down the paper path. To test Fold down the cutter and leave the paper running over the cutter. 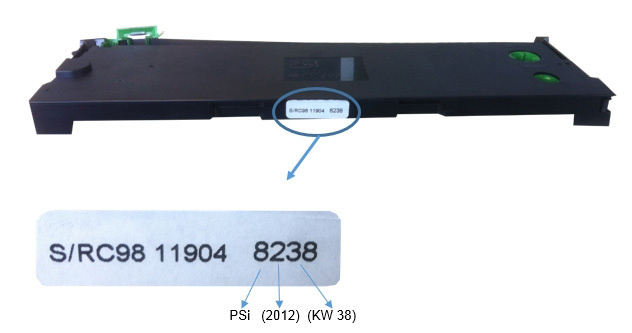 Printhead plate defective or soiled with glue / adhesive label. Remove roller and check the print head shield. Typical error: When paper feed pushes the upper edge of the paper and moves or verreißt the paper. Info: Check for repairing the correct locking of paper guide 4 Paper Guide 1, Loosen the crews and tighten. Line 1 is too high, pressure is at perforation. The paper is already under FF2, cause almost always in the rear driving area.Tractor doors dawned tractor doors in tractor cassette has dawned and can slow down the paper depending on the paper thickness. The roles of the Paper Guide 4 swollen (circumferential speed is higher) and pull the paper with more train from the tractors. Solution: Paper Guide 4 5322 466 83095 exchange. The pressure of the Paper Guide is one-sided. The paper is pulled to one side. Prüfen Ursache 2 oder Ursache 3 (sporadisch auftretender Vertikalversatz). Zur Prüfung den Cutter abklappen und das Papier über den Cutter laufen lassen. Druckkopfschild defekt oder mit Kleber / Klebeetikette verschmutzt. Walze ausbauen und Druckkopfschild prüfen. Typischer Fehler: Beim Papiertransport stößt die obere Papierkante an und verschiebt oder verreißt das Papier. Info: Nach Reparatur den korrekten Sitz von Paperguide 4, Paperguide 1 prüfen, Schrauben lösen und wieder festziehen. 1. Zeile ist zu hoch, Druck erfolgt auf Perforation. Papiersensor evtl. bei Reparatur getauscht und mit dem Sensor von PP404/405 oder PP407/408 verwechselt. Adjust im Menü des Druckers überprüfen und ggf. einstellen. Das Papier ist bereits unter FF2, Ursache fast immer im hinteren Antriebsbereich. Traktorklappe angebrochen: Traktorklappe in der Traktorkassette ist angebrochen und kann das Papier je nach Papierdicke bremsen. The roles of the Paper Guide 4 have swollen (circumferential speed is higher) and pull the paper with more train from the tractors. Paper Guide 4 5322 466 83095 austauschen. Der Andruck des Paper Guide ist einseitig. Das Papier wird zu einer Seite gezogen. How to perform a HEX Dump in PP 40x printers? How to adjust the tear off position in PP40x printers? How to realign the optical sensors of PR9? 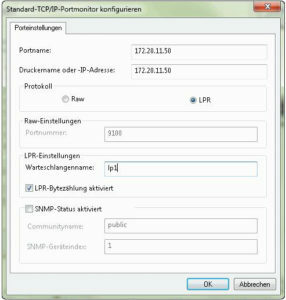 How can I install a PM-Ethernet on AS 400 / iSeries? The procedure they refer to the PDF file. How I install a PSi Printer Drivers on Windows Server? How to install a 32 bit drivers on a 64 bit system? 32-bit printer driver issues on a Windows Server When you install an additional x86 printer driver on 64-bit Windows is to come on the instructions of the driver, the message: “path to Windows media (x64 processor)”. Here, after a “ntprint.inf” file is needed. These can be supplied with a small workaround. How Win7 / Win8 a driver package permanently delete? This is always necessary if a newer printer driver same names will be installed. How to install unsigned drivers under Win8? On Windows 8 can not certified printer driver only install if Win 8 allows this. For this purpose, allowing mss be unlocked. Here’s a quick way. How to install an unsigned driver under Windows Server 2012? How can I install an unsigned windows 10 driver? How to create a Custom Paper Size in Windows? WIN XP / Vista version via the File menu “Server Properties” Select. now there is a custom form can be created and saved under a freely selectable name. The form is then in all printer drivers are available that support this form size. Important:you need administrative rights to create new forms. Comment réinitialiser un serveur d’impression Ethernet aux paramètres d’usine par défaut? Le serveur d’impression peut être réinitialisé à l’aide d’une combinaison de touches à l’état de livraison d’usine manuellement. Bouton d’état pour imprimer une page d’état. La version Ethernet correspondante peut être lue à partir de cette page d’état. 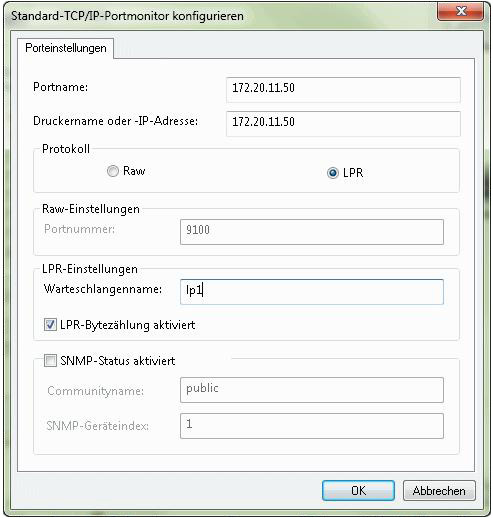 How to set Start / Stop or strings changes in the “Logical Printer” of PM Ethernets? Strings can be passed by decimal code. A backslash directs the Decimal character (unconditional 3-digit decimal notation). Characters that do not control characters are able to pass directly into ASCII.